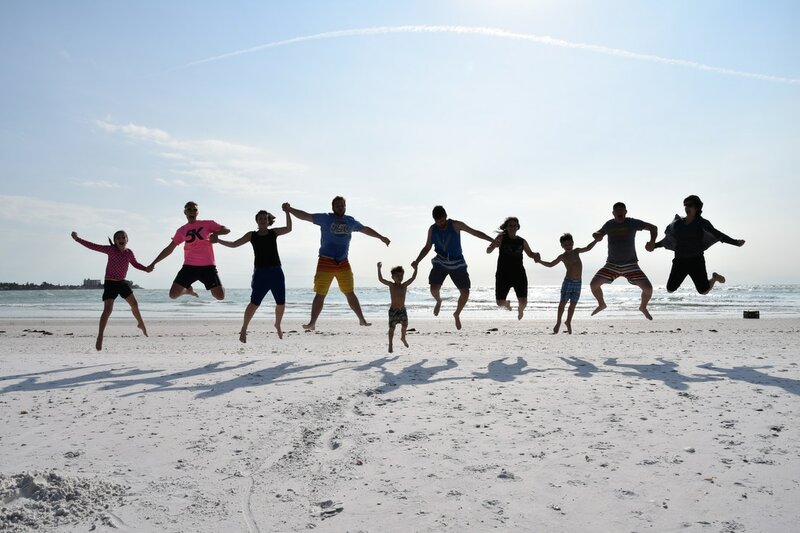 We have spent the entire month of January in Florida and it has been a blast! During the first two weeks in Lehigh Acres (Fort Myers area), the pastor and his family took us on several outings of nighttime spearfishing. Some of the guys and the kids speared some huge fish! They tasted so good too! Another team favorite from the time was 4-wheeling along the canals and in the “brush”. The Vances showed us some awesome trails to explore, so during a few afternoons and days off, we loaded up and went exploring for several hours. The guys also enjoyed a morning of shooting guns. We had a wonderful Thanksgiving with Steph’s parents and parked our trailer in Indianapolis for a few weeks before heading down to Rocky Mount where our ministry is based out of. Our home church is located in the same town as my family, so we were able to enjoy time at Westview Baptist as well as enjoy some time with my family. The cousins were probably the highlight of the kids’ break, and there was never enough time to play. Stephanie was able to go to Texas and visit her sister for a few days. RIght before New Years, Steph and I went to Wilmington for a few days to enjoy some time together before heading back out on the road. We had a great time of resting and fellowship, but we are ready for another semester of ministry! It is always a bittersweet time when we have to say goodbye to some of our team members who will not be returning the next year. Our team becomes like family. We live, work, minister, love and grow together in a special way throughout our time of ministry. When team members leave for their next step in life, we rejoice that God is leading them on, but we are also sad to see them leave our “family”. 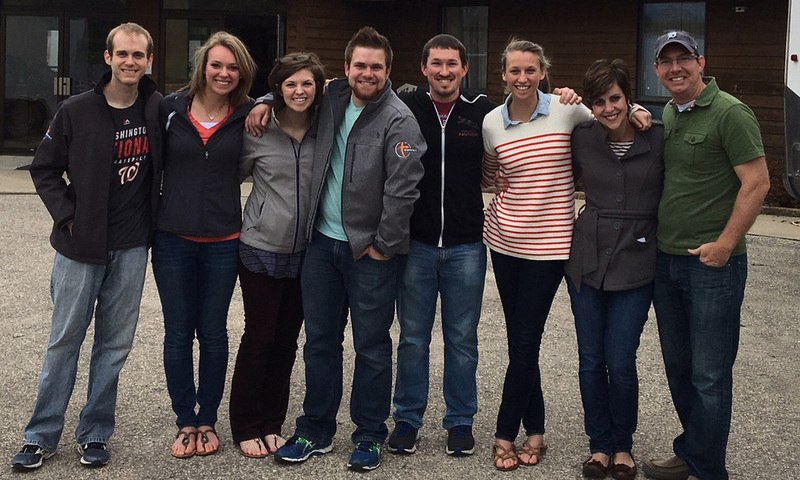 We have two team members who will be leaving us and heading out into a new place of ministry! A couple of weeks ago, we each went our separate ways from Monday until Saturday morning for Spring Break! Brad, Becca and Emilee went to Colorado to spend the week with Emilee’s family. We went adventuring around Castle Rock, Denver, Colorado Springs and Copper Mountain--seeing the sights and spending time relaxing (for the most part). We loved being in the mountains, taking pictures and having fun with the Nelson family! Fall brings another wave of birthday parties for the Coffey team and we love celebrating our team’s special days! Lots of food, “party punch” and gifts are all part of the fun. We have a special tradition of giving a different kind of gift – the gift of words to the birthday person. We share something we love about them. It really is the best thing about birthdays. ​Before our team came together in August, each of us were part of different ministries and activities over the summer. Second semester comes with another rush of birthdays for the rest of the team members. Saying Goodbye is never fun, especially when close friends are the ones departing. As we travel on the road, our team members become like family. Working closely together in ministry as well as basically living together 24/7, knits our hearts together in a special way. When team members leave for their next step in life, we rejoice that God is leading them on, but we are also sad to see them leave our “family”. We praise the Lord for the privilege to serve in local churches and to minister to His body as we do. Since 2010, God has been at work using Coffey Ministries to come alongside and partner with many local churches striving together for the sake of the gospel. All glory to God!